Eurodesign Systems Ltd. provides complete entertainment and communication technology solutions for the hospitality industry. Founded in 2006, the company has devoted the last 11 years in helping hotels to deliver reliable and secure interactive television, wired and wireless broadband connectivity services, multi-media services, managed network solutions, security solutions and other hospitality technologies. 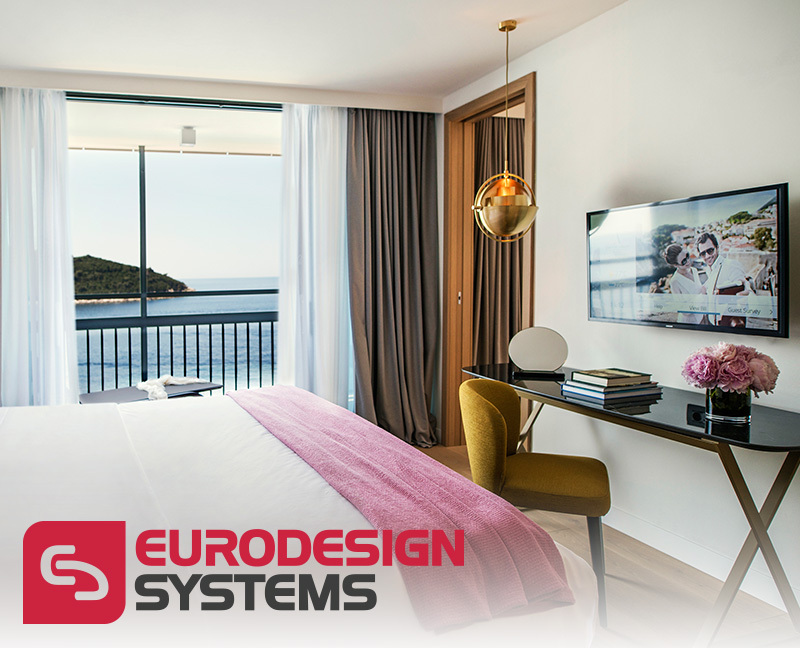 Today, Eurodesign’s hotel interactive IPTV system InfoStar is the preferred guestroom technology for many international chain-branded hotels, as well as many local hotel brands with strong individuality. Thanks to the in-house software, to the hardware development and implementation, Eurodesign BG provides a fully customizable system granting the hoteliers the opportunity to present their hotel brand via the guest interface, to show all the hotel services in a new and modern way, to provide value added services and to optimize the hotel operations. A team of highly qualified system engineers provides a backup support from our head office via a remote connectivity and makes sure the system is up-to-date and being supported 24/7.